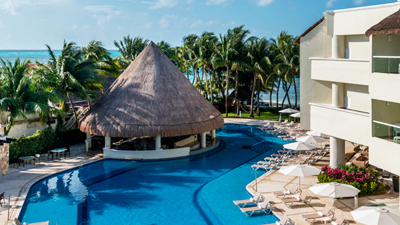 Palace Resorts’ Isla Mujeres Palace the name just speaks to your inner conscience. It brings peace and serenity to your being. 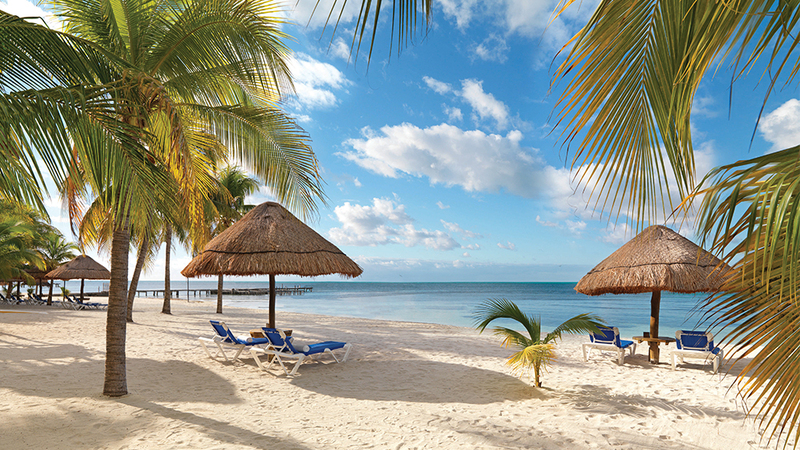 You will feel miles away on this island off the coast of Cancun in the beautiful Caribbean. Put your feet up as you lounge in the hammock, sway calmly back and forth in time with the palms in the warm ocean breeze. Reach over and grab your ice cold cocktail and take a refreshing sip. Then continue your conversation as the sun warms your body and softly kisses your skin. This luxurious couples only travel destination gives you less to worry about. 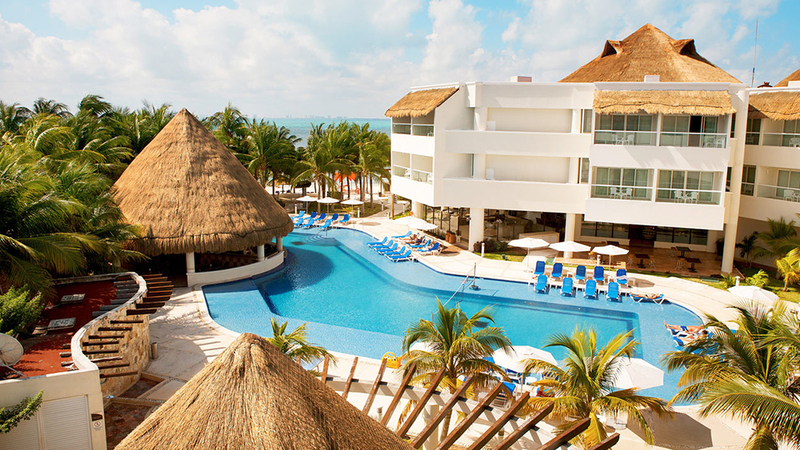 The Isla Mujeres Resort in Mexico is the getaway perfect for relaxing and rejuvenating yourself. 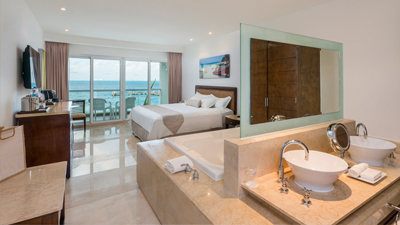 There is a lot more to do than just sit and relax at Isla Mujeres Palace. If you are feeling active you can partake in a variety of activities to entertain, excite and test your limits. 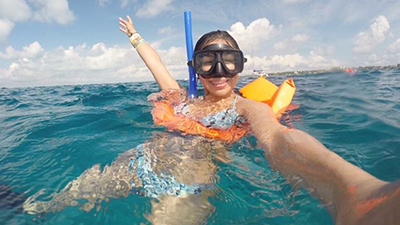 There are a verity of different tours for your enjoyment such as snorkeling, dolphin watching, scuba diving and so much more. Enjoy dinner under the stars with the love of your life after a relaxing day spent at the spa being massages and pampered like a king and queen. 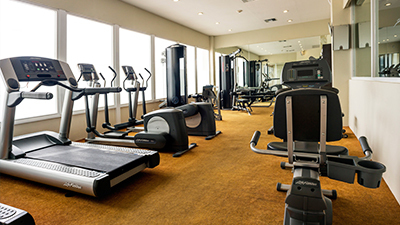 Get your groove on in the fitness center with state of the art equipment to help boost your muscles and help you lose inches. 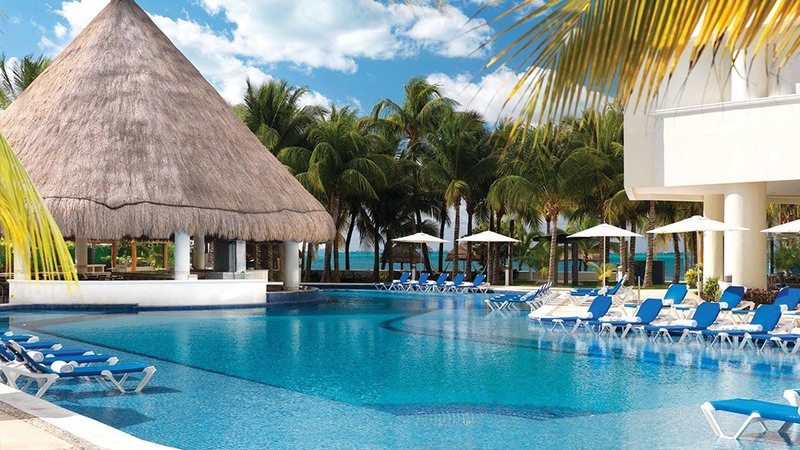 You can also just kick back and soak up the sun as you relax by the adult only swim up bar. Each and every night offers unique nightly entertainment to offer and all this comes with your all-inclusive vacation package. 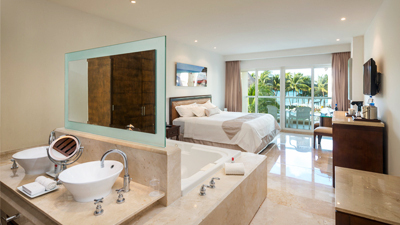 So, why you aren’t here enjoying beautiful Isla Mujeres Palace yet? Experience a cut above with the Concierge Level Ocean View guestrooms. 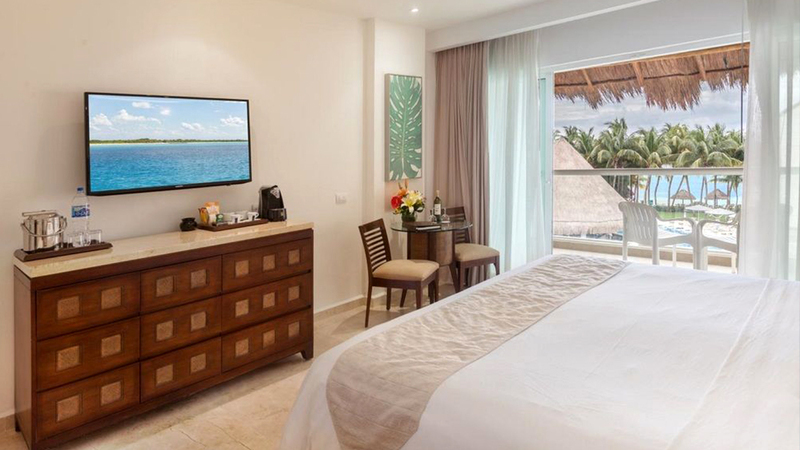 In addition to the standard amenities, guests staying in these rooms will also enjoy the following upgraded amenities: Apple TV with WiFi connection and special apps including, iTunes, Netflix and more. Upgraded liquor brands and two 25-minute massages at the Spa. The world-class spa presents a variety of options whether you’re both indulging in a joint session, or you’re reveling in a solo spa day. 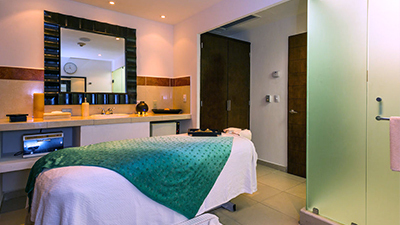 What better way to put your mind and body at ease than a head-to-toe pampering from a professionally trained staff? Tour the island, go snorkeling, or greet dolphins at the Dolphin Habitat. 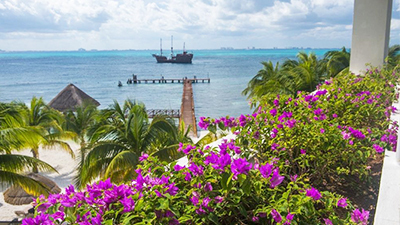 At Isla Mujeres Palace, they’ll guide you to the action. From snorkel tours at the hotel, to tours of the Garrafon Reef in the eco-park, you’ll be able to experience Mexico in more ways than one. For breakfast and lunch, enjoy the delicious buffet with a fantastic variety of options from regional and international cuisines. 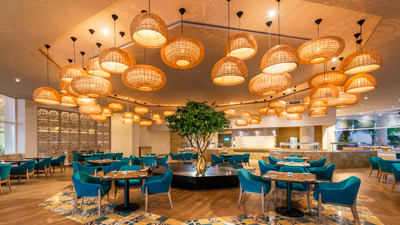 For dinner, Azul has an a la carte menu that features both regional and international cuisine. Enjoy delicious snacks served throughout the day. Swim-up bar serves alcoholic beverages upon request. 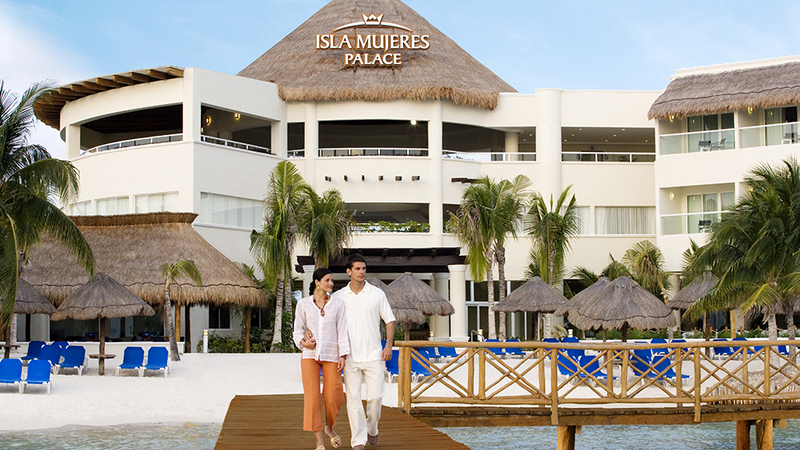 Isla Mujeres Palace is an all-inclusive, couples-only paradise and the ideal resort to discover true love. They will even pick you up from the shores of Cancun and indulge you with a 20-minute ride on their very own yacht. 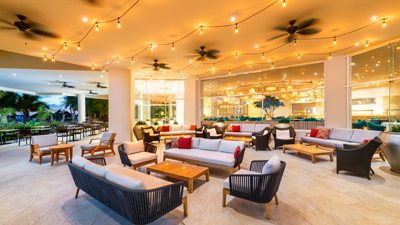 Intimate seaside candlelight dining, a serene pool and a blissfully kids-free beach awaits. 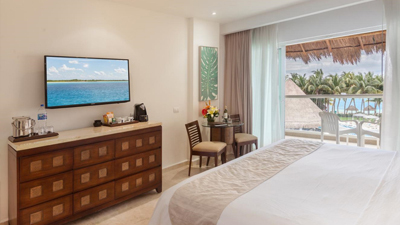 All inclusive means you can focus on all-romance, and make your stay unforgettable at Isla Mujeres Palace.